Officially licensed sports teamdog jersey. 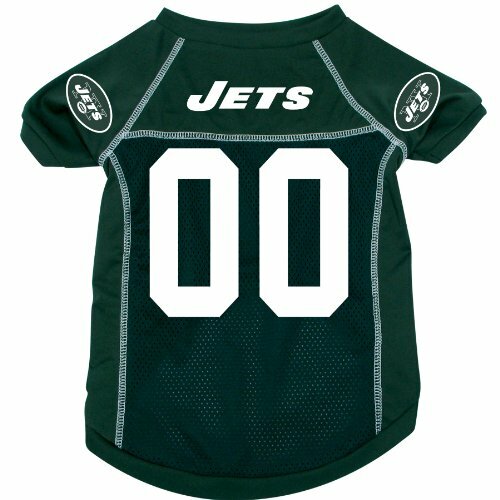 Perfect to get your sporty pup cheering for your favorite team on gameday! Team name and logo, number (00 only) and screen graphic on the sleeve. Stylish and comfort-fitted v-neck cut. Decorated in the team colors.